Everyone’s looking for ways to advance his or her career. This is particularly true in today’s technology world where everything changes at a rapid pace, making it easy for skills to become outdated and you to be left behind. So how can you make sure to avoid that skills gap and stay ahead of the competition? The PMI-PMP training validates work experience and knowledge of project management to lead and direct project teams and deliver project results within the constraints of schedule, budget, and resources. Holders of the Project Management Professional certificate, the survey said, bring in an average salary of $116,094, up from $109,405 last year. 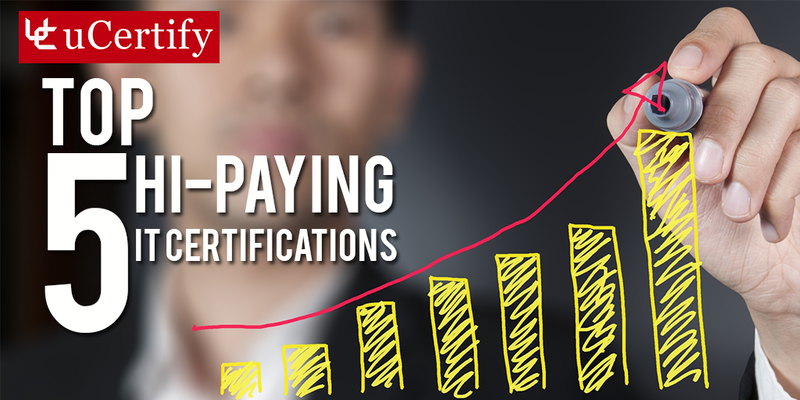 It is the most recognized project management certification available, with more than 658,000 PMPs around the globe. You can check out the courses and performance based labs from uCertify to prepare for the latest PMPv6 Exam. CISSP training validates work experience and knowledge in various domains such as access control, application security, cryptography, business continuity and disaster recovery planning, IS and risk management, operations security, physical security, security architecture and design, telecommunications and network security, and legal, regulations, compliance and investigations. According to the survey, holders of the Certified Information Systems Security Professional (CISSP) bring in an average salary of $121,923, up from $110,603 last year. There are nearly 104,000 CISSPs worldwide, with approximately two-thirds of them in the United States. Holders of the Certified Information Security Manager (CISM) bring in an average salary of $122,291, the survey found, up from $118,348 last year. CISM is aimed at management and focuses on security strategy and assessing the systems and policies in place. It is not intended for IT professionals and others who are actually responsible for the implementation of policies using a particular vendor’s platform. The certification requires at least five years of IS experience, with at least three of those as a security manager. More than 27,000 people have been certified in CISM since it was introduced in 2002. The exam is only offered three times a year. Cisco Certified Network Associate (CCNA) certification is designed to ensure proficiency and skills to operate, troubleshoot, and install a small enterprise branch network, including basic network security. The CCNA exam validates ability in various fields such as routing and switching essentials, scaling networks, and connecting networks, and introduction to networks. CCNA training program certifies aptitude and expertise in the areas of Network Technician, Support Engineer, Network Administrator, and Network Engineer. Holders of the Cisco Certified Network Associate (CCNA) Data Center bring in an average salary of $107,045, according to Global Knowledge’s survey, up from $94,803 last year. CEH training program demonstrates mastery in common exploits, vulnerabilities using hacker techniques and tools and represents detailed contributions from security experts, academicians, industry practitioners and the security community. Holders of the Certified Ethical Hacker (CEH) certification bring in an average salary of $103,297, according to the survey, up from $95,155 last year.